The comedy flick, Jelili which he produced in 2011 has upped his ante and brought him into fame. According to Femi Adebayo, the movie is still generating rave reviews and he has received accolades in cash and kind based on that movie alone. 'The movie Jelili will ever remain ever green. I see it as evergreen because in different homes, they still watch it and still continue to laugh. Sincerely, Jelili has increased my fans base from 75 per cent to 80 per cent and there was a colleague of mine I met who told me that he was waiting for the movie to come out so that he will be able to criticise what I have done negatively. When my friends saw the comedy, they were surprised and they said immediately, so Femi Adebayo can do something of this nature. So it brought various awards and I'm grateful to God. 2012 has been my year of blessing and awards. I hope 2013 will surpass the previous year's glory, for me, my family and my career. I received a lot of awards, in which some are based on Jelili, Sonto Alapata and my lead role in Ayekoto. It became a surprise to me because we also have some wonderful actors who can perform the same role better than I can do. The basis for winning the award I cannot tell because those awards were judged by our fans outside there who felt I am the only qualified nominee for the awards. The inspiration behind the film is very funny itself. I was with a company of friends and suddenly one of them farted and we all started laughing. I wondered what was so funny that people started laughing hysterically. So I decided to bring something out of it. What really gave me the passion was that at a point, I was tired of playing the roles of a lover-boy in a movie. So I wanted a new look because as an actor I need to be very careful so that a producer will not stereotype you to a particular role', he said. 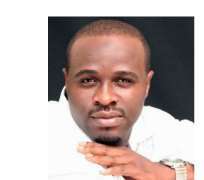 Femi Adebayo who noted he has done 8 movies so far acknowledged the role his father, Adebayo Salami had played in his life. 'Destiny will surely take its place but my dad being an actor has been a plus to my career. Though the first movie that brought me to the limelight was not produced by my father, I won the role through an audition and the title of that movie was Owoblo produced by Tade Ogidan in 1995. Uncle Tade Ogidan didn't know that I'm the son of Adebayo Salami. I can say it proudly and categorically that daddy has been instrumental in my career because I have ran to him a number of times in helping me to interpret my role, in handling some press issues when they were peddling rumours about me. So, dad being in the same industry with me has been a plus', he noted. The son of Oga Bello has had his share of negative publicity which may have caused him to develop thick skin to press issues about his love affair. One of them was his widely reported affair with Funke Akindele before she got married in 2012. He even had to stand his ground wanting to know the questions our correspondent wanted to ask him before granting the interview. But trust journalists, we asked him about his purported separation from his wife, Khadijat and this was his reply, 'About me being separated from my wife, do you want to come to my house to confirm? I said it that I don't want to answer any question concerning this again. If anybody read any materials on the internet and believe it, that is stupidity. So before anybody can believe any story, you have to come to my house to confirm. I have no privacy when you come to my house in Ibadan, you will find me and my wife together. Really, all you see about us in movies is make-belief. The moment an actor is affected by the role he played in a movie, it becomes a problem and that person is not an actor. On what to expect this year, the lawyer-turned actor said, 'In year 2013, I have to advance in so many areas like J15 Media Network which is my outfit. Under this, I have J-15 School of Performing Arts. I also have three projects this year, two to be shot, one has been shot already. The one am working on is Ila (tribal marks), I did a research on the reason why we have tribal marks and this brought about the movie. However, the talk of the town for now is Sonto Alapata (The Butcher) which has been to the cinemas and there was a wonderful turn-up and it's going to be out by February. Sonto Alapata is not a comedy, it is an action movie basically on the life of a butcher because from the research I was able to carry-out, twenty per cent of non-educated people are butcher while five per cent of the butchers are educated which was a very big surprise to me while I was carrying out my research. I even met somebody that has a Masters Degree and he is a butcher.